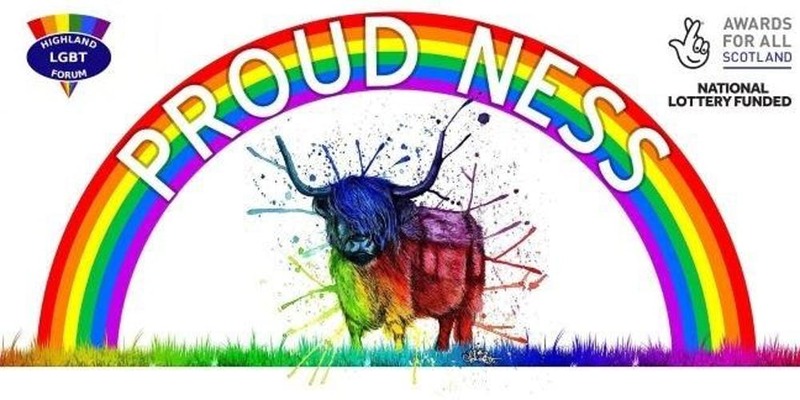 Proud Ness was a project to take the rainbow flag around the Highlands with OUT-Reach stalls at Thurso, Portree, Ullapool, Avimore, and Fort William, with a final main event in Inverness. The initial funding application was facilitated by the Equality Network, who lent us their gazebo for the OUT-Reach stalls. 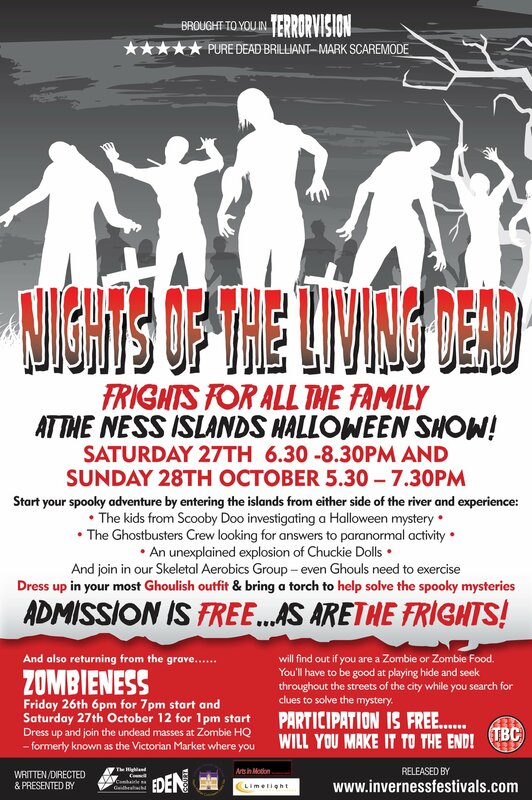 The Proud Ness main event on the 6th of October far exceeded our expectations, or original planning. The support we received was overwhelming and was beyond anything we thought could be possible. The estimate for the number of people in the parade on the day varies from 2000 up to 6000. The Proud Ness main event could not have happened without the support from many organisations and individuals. Eden Court, whose help with the initial planning, advice and planning for the stalls, talks, and entertainment, and dynamically dealing with the unprecedented numbers that appeared was invaluable. 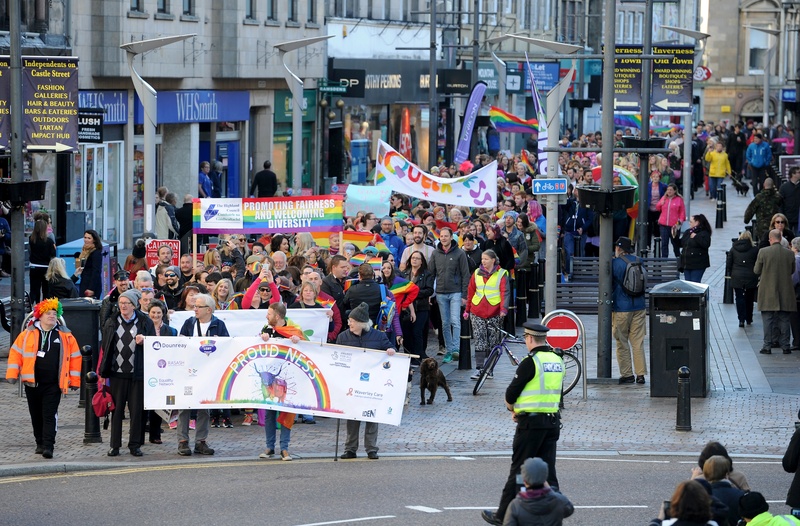 The Highland Council’s support with the Parade planning, authorisation, and road closures was exemplary, especially with the changes we had to make to the starting point due to unfolding events. Flying the rainbow flag from the town house was the icing on the cake. We cannot thank enough Gerry Reynolds, Inverness Events Manager, for jumping in at the last minute to ensure an incident free parade, and enabling the use of the Northern Meeting Park for the speeches. Thanks must also go to the Reverend Peter Nimmo from the Church of Scotland, Elaine Mead, Chief Executive of the NHS Highland, and James Mackenzie-Blackman, Chief Executive of Eden Court for their enthusiastically received speeches. 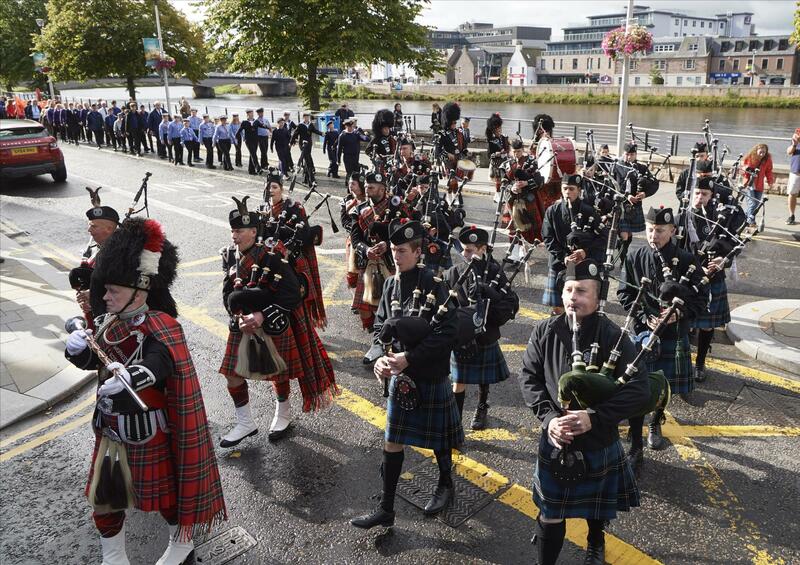 Many others helped in small and large ways, the police, volunteer stewards (some were last minute volunteers), the public, and the shops in Inverness for making the day such a memorable day. The Proud Ness committee consisted of ten individuals, all volunteers with full time jobs, none of us special. For some of us, the last couple of weeks has been a fantastic nightmare, reviewing our plans, dealing with the many queries, issues, and problems, all with the uncertainty of the number who would be on the parade. Due to the workload we were unable to respond to many queries, so please accept our apologies if we did not respond. We like to give a shout out to the Hebridean Pride who, from all reports, also had a very successful day. Congratulations to them. Planning for Proud Ness 2019 will start soon though we have no idea how to top this year, or if we will get funding. The Kirking of the Council is always held on the second Sunday of September and is the oldest event in our city's events and festivals calendar going back over 400 years. This year's procession was led by the Royal British Legion Scotland (Inverness Branch) pipes and drums and the City of Inverness Youth Pipe Band and joining Provost Helen Carmichael were staff and Members of The Highland Council, guests from the University of the Highlands and Islands and representatives of a number of community groups and schools and the Emergency Services. 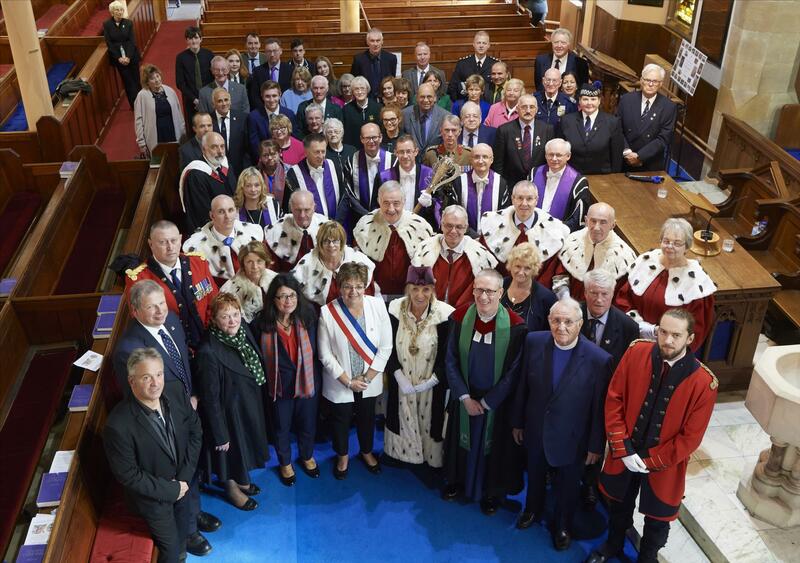 Guests of Honour at this year's event was the Mayor of Inverness’s twin town, St Valery en Caux, France, Mme Dominique Chauvel, and her deputy. The Kirking Service was led by Reverend Peter Nimmo, Minister of Old High St Stephen’s Church. The combined choirs of the Old High and St Stephens sang at the event; with Pam McCulloch (the Choir Director at St Stephen’s) conducting; and Robin Versteeg (Choir Director of the Old High) organist for the service. During the service, thanks were given on the 70th anniversary of the National Health Service. Inverness is home to Raigmore Hospital, and the Health Service is one of the city’s largest employers. In his sermon, the Rev Peter Nimmo saod, “We should cherish the health service. It is a fine example of ‘solidarity’, in which wider society helps look after those unable to help themselves’. 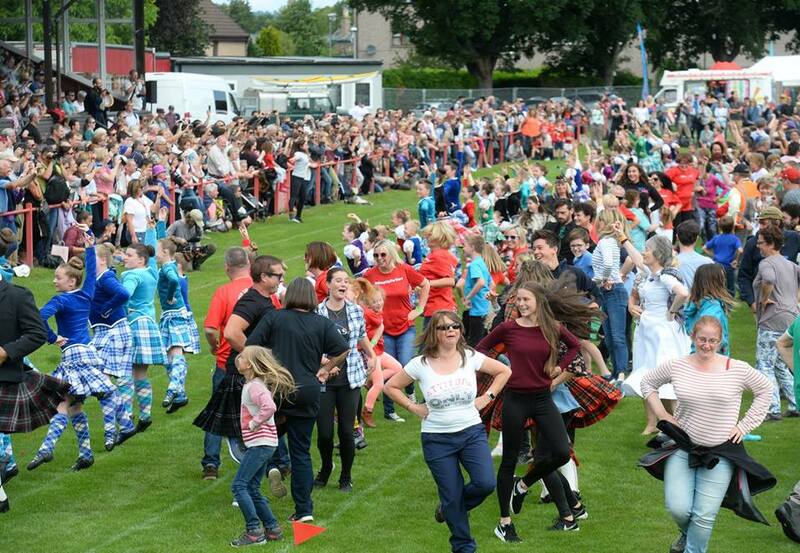 where an estimated 2000 spectators gathered to enjoy performances by the City of Inverness Pipe Band; Fraser School of Highland Dancing the Inverness Branch of the Royal Scottish Country Dance Association. before parading across Ness Bridge to Northern Meeting Park to enjoy the 2018 Highlands Strongest Man and Strongest Woman Championships organised by the Forge Gym. 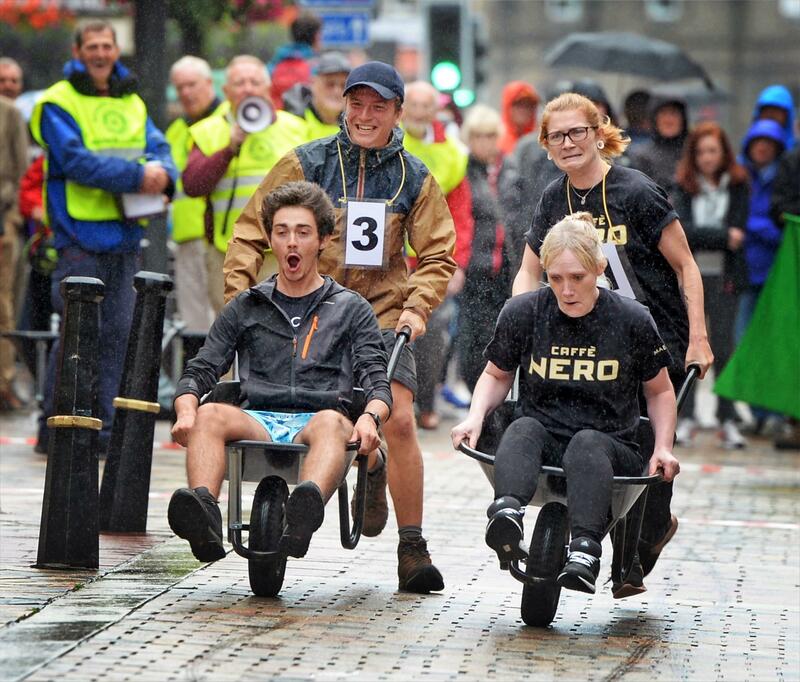 Despite the torrential rain, the crowd where treated to a really exciting evening of intense competition. Nicki Innes won the Strongest Woman's title and Jamie Gorrian was victorious in the men's event. For many spectators, the Heavy events at the Inverness Highland Games are one of the highlights of their trip to Scotland; and a huge crowd estimated to be in the region of 9000 arrived to enjoy the show. After a day of wonderful competition Jamie Gunn was crowned Champion after being pushed all day by US Athlete John Odden of the USA. Throughout the day the crowd were entertained by film crews behind the US Discovery Channel's "Expedition Unknown" and the Italian TV Show "The Alternative Olympics" as their presenters Josh Gates and Matteo Nicoletta enjoyed a crash course in becoming a Highland Heavy with Nicoletta managing to win a medal from Provost Helen Carmichael for being the worst dancer in the history of the Opening Ceremony's Mass Highland Fling after a review by the Video Referee that the Highland Games Committee assured him was in operation. The Opening Ceremony’s Mass Highland Fling featured over 400 participants and was the largest in ever seen at the Games; and featured a number of locals who were taking part to raise funds for 3 year old Sam Douglas who requires specialist medical care. The biggest addition to the 2018 programme was the “Show and Shine Inverness” car show organised by 2K Custom which featured over 100 cars and attracted hundreds of additional spectators to Bught Park. Also new for 2018 was the introduction a series of races for the Under 5’s scheduled to take place at around 12:30; and one of the loudest cheers of the day went to a wee fellow who decided to keep on running after winning the 400m race and was too quick for the adults who were chasing after to him to let him know that he should stop. There was a lot of excitement generated when the names of the three great bands who would be appearing at our Hogmanay Gathering; and we are pleased to report that the 2017 Red Hot Highland Fling more than lived up to the weeks of anticipation that preceded it. Opening the show in Northern Meeting Park Arena were Hò-rò; who were winners of the “Danny Kyle award” at Celtic Connections; and quickly showed 12,000 delighted Highland Flingers from all over Scotland and beyond why they are amongst the most popular new bands on the European music festival scene. Hò-rò were followed by two former winners of the prestigious “Scottish Traditional Music Live Band of the Year Award”; with Skipinnish given the honour of headlining the show in the prestigious middle position; which is a tradition that is unique to our show; and enables as many youngsters as possible to see the headline act perform. Closing the show, and making sure that the music paused just in time for a spectacular fireworks display at midnight were Skerryvore. 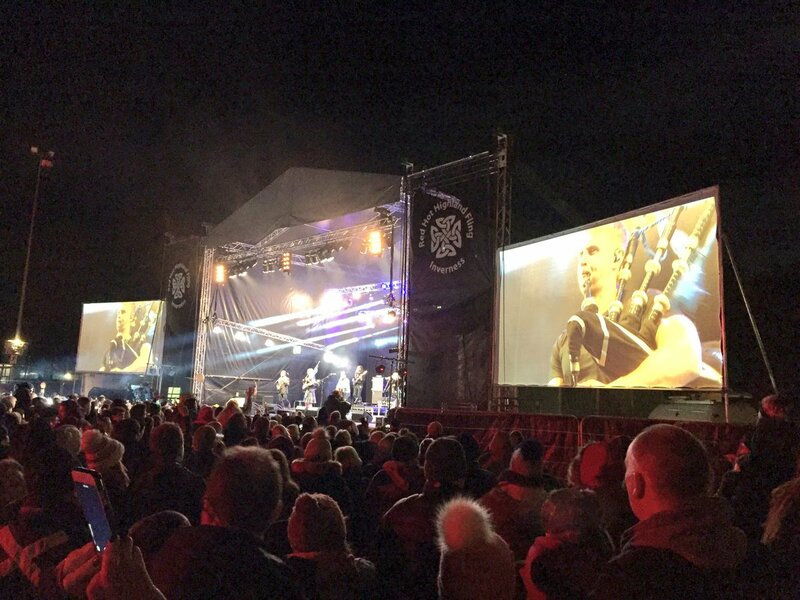 A firm favourite with the Inverness crowd; Skerryvore are one of the few bands in the world that organises its own annual music festival, Oban Live, which now attracts over 10,000 visitors each year. The show was hosted by Comedian Craig Hill who had travelled the world en route to Inverness with his sell out show Someone’s gonna get kilt!”. 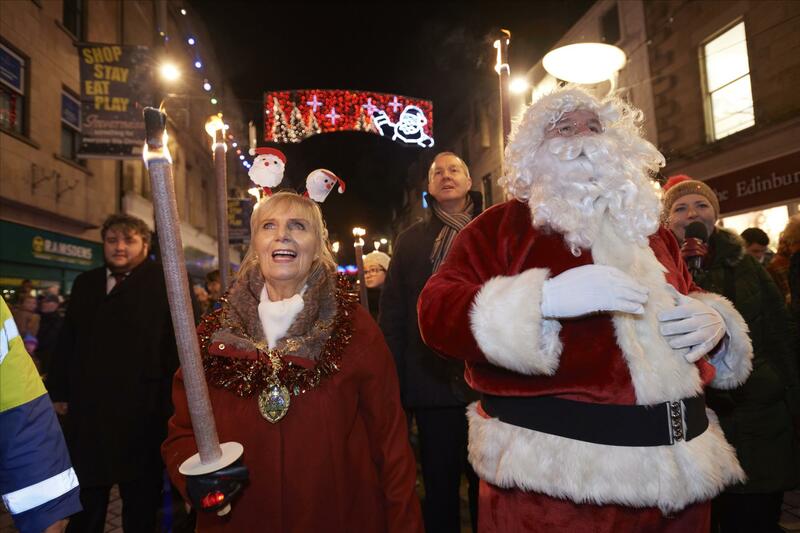 The Countdown to Christmas gets underway in Inverness on Sunday November 19th as Santa arrived to help Provost Helen Carmichael turn on the city’s dazzling display of Christmas Lights. 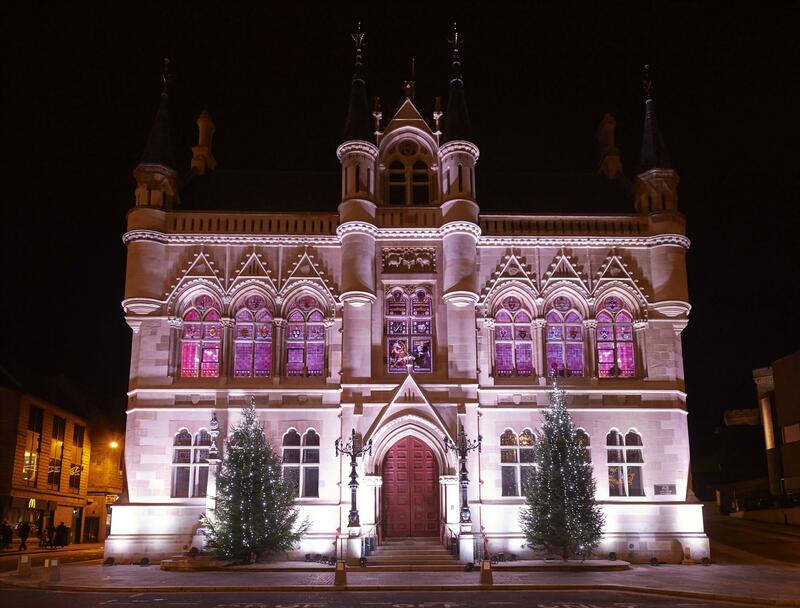 Families gathered at Crown Primary School at 5.15pm on the night to take part in the Christmas Torchlight Procession to the Town House with the Provost and Santa and host Nicola McAlley of STV. 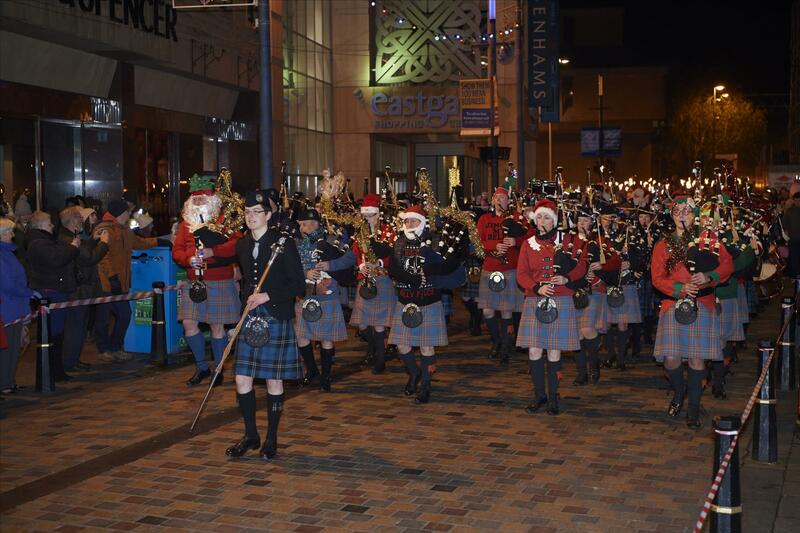 This year’s parade was led by the combined City of Inverness Senior and Youth Pipe Bands in suitable Christmas attire and featured a number of costumed characters and stiltwalkers. 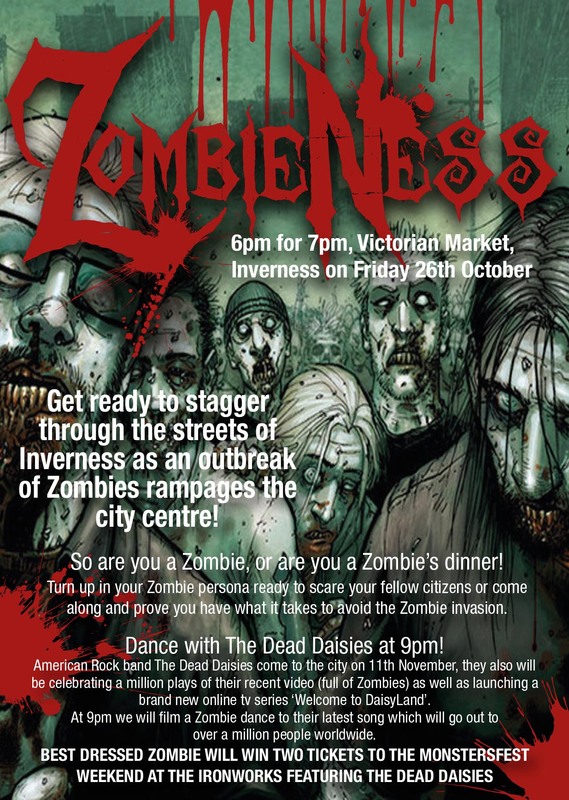 The Parade ended outside Inverness Town House where there was a surprise in store for everybody when the building unexpectedly burst into light. The marchers then followed Santa the Old High Church for the annual Christmas Carol Service - Ding Dong Merrily Old High which featured a number of much loved traditional favourites performed by the Joint choir from St Stephen's and the Old High churches.